Aaron Ferguson’s expertise in water law is the result of a unique combination of working on high-profile, complex water law issues coupled with previous careers as a water supply analyst and a regulatory affairs specialist. He is able to provide a well-rounded vision on the water issues that face his clients. Aaron helps clients understand and protect their water rights, maximize the value of their water supplies, and achieve their water supply planning objectives. He regularly advises landowners and public agencies with respect to the existence and scope of their water rights and memorializes his findings in water right opinions. Currently, he is protecting the surface water and groundwater rights of his clients in administrative and state court proceedings related to the proposed California WaterFix project. He is also helping a client navigate the regulatory process required to add a point of diversion, place of use and purpose of use to two water rights. Aaron combines his knowledge of water law with his experience in water supply planning to assist clients in the development of water supply plans such as Urban Water Management Plans and SB 610 Water Supply Assessments. He looks forward to applying these skills helping clients develop and implement Groundwater Sustainability Plans under the Sustainable Groundwater Management Act (SGMA). Aaron also provides public agencies advice on Proposition 218 compliance for imposition of water rates. He recently advised a client in the development and adoption of a groundwater management fee pursuant to SGMA. Aaron applies his expertise in water rights law to deliver market-based solutions to complex water resources challenges facing his clients, including negotiating and drafting facility capacity agreements and surface water and groundwater transfer agreements. Aaron also assists clients in developing creative solutions to regulations proposed by administrative agencies, including his current work crafting alternatives to the California State Water Resources Control Board’s flow-based approach to maintaining and improving water quality in the Bay-Delta watershed. Aaron challenges administrative agency decisions by requesting reconsideration of their determinations and litigates agency decisions in court. Aaron’s current work includes litigation contesting the constitutionality of the California State Water Resources Control Board’s imposition of a fee to fund a regulatory program. 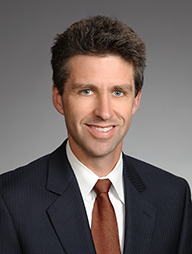 Outside of his law practice, Aaron enjoys spending time with his family, hiking, and skiing. Counseled developer on water supply issues associated with development of a solar array farm on land in the San Joaquin Valley. Drafted memorandum analyzing scope of public agency’s groundwater rights on federal land under existing easement agreement. Drafted water supply assessment pursuant to Water Code section 10910. Analyzed likelihood of landowner retaining water entitlement following temporary land-use change. Drafted brief supporting sanitation district’s challenge to its National Pollution Discharge Elimination System permit. Drafted comment letter for publicly owned treatment works association regarding water quality objectives being considered by the State Water Resources Control Board. Drafted brief opposing a petition for leave to intervene in superior court case. Counseled client regarding potential impacts of the Delta Plan and Bay Delta Conservation Plan on pesticide use. Counsels clients regarding water transfers, including development of purchase and sale agreements. Assisted with drafting brief challenging State Water Resources Control Board frost protection regulations. Drafted memorandum regarding potential impacts of Clean Water Act Guidance on an agricultural water purveyor. Drafted advice letter to client regarding the nature, scope and potential outcomes of adjudicating groundwater rights in a specific basin. Assisted in briefing a motion to enjoin a state agency from implementing irrigation water use regulations. Drafted memorandum analyzing whether a mutual water company could be classified as a “public utility” subject to CPUC regulation. Advised limited liability company whether its environmental liability can be discharged in bankruptcy. Drafted legal opinion for state agency regarding the marketing and allocation of power from Hoover Dam under new federal power contracts. Drafted memorandum analyzing the likelihood of obtaining an injunction against a state agency. Drafted comment letter for client regarding environmental review of federal water service contracts. Drafted memorandum analyzing special use authorizations for power project on U.S. Forest Service land. Provide ongoing general counsel services to Glenn-Colusa Irrigation District. Advise client on accounting and expenditure of funds pursuant to repayment contract for fire department services associated with new development. Represent electrical cooperative on various property and contract matters.